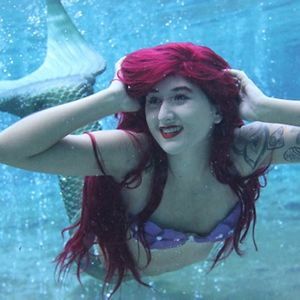 Real life Mermaid Kelly, becomes The Little Mermaid to share a message with you. Plastics are killing our oceans! Remember to do your part in helping her and her mermaid friends clean up the world around you and try to avoid plastics! Together we can clean the Earth and help save the mermaids! A professional mermaid based in Jacksonville, Florida on a mission to saving the Oceans and teachingg kids about our environment! wow Where did you get your tail it looks so real!